On February 7, 2017, Rock And Roll Hall Of Famers JOURNEY proved their status as one of rock's best live bands when they brought their landmark albums "Escape" (just in time for its 35th anniversary) and "Frontiers" to the legendary Budokan stage in Japan. 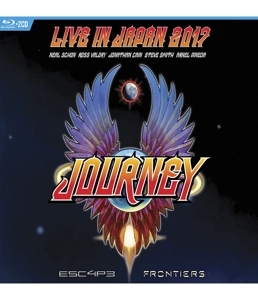 Eagle Rock Entertainment proudly presents this concert when "Journey – Live In Japan 2017: Escape + Frontiers" is released on DVD+2CD and Blu-ray+2CD on March 29. A triumphant evening of music, JOURNEY presented songs from 1981's "Escape" and 1983's "Frontiers". These albums, which produced eight Top 40 singles combined, have sold nearly 20 million copies worldwide, and cemented the San Francisco band's music in the cultural zeitgeist. Kicking off the two-hour set with "Don't Stop Believin''', JOURNEY kicks into high gear, presenting a set not just of its hits, but deep album cuts like "Escape"'s "Lay It Down" and "Frontiers"' "Back Talk", which haven't been played live since the albums' original touring cycles. 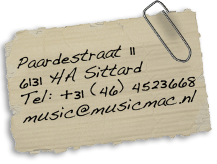 The concert, presented with a minimal stage set, without big extravagant light shows or monitors, lets the music do the talking. The spectacular musicianship of Neal Schon (founder / guitarist), Jonathan Cain (keyboardist), Ross Valory (bassist), Steve Smith (drummer) and Arnel Pineda (lead vocals) shines on famed hits like "Open Arms", "Who's Crying Now", "Separate Ways (Worlds Apart)" and "Faithfully". A fantastic representation of the band's legacy, "Live In Japan 2017: Escape + Frontiers" showcases the enduring impact of JOURNEY and these songs.